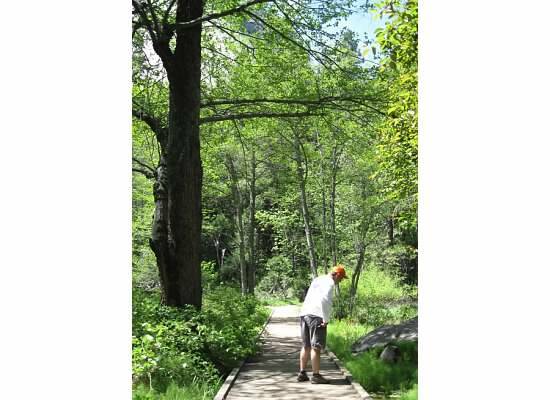 Many dogwood trees were in bloom in Yosemite National Park, and the waterfalls were at their peak for the season. Chris and I, along with lots of other visitors, spent the afternoon in the valley taking in the sights. 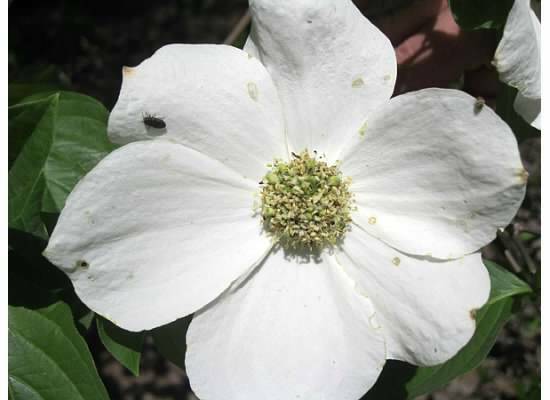 A showy white dogwood bloom. 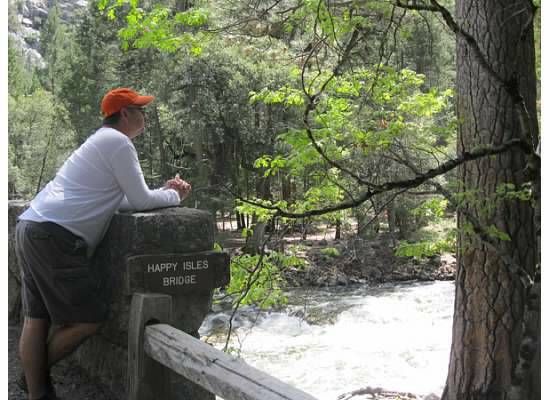 Walking up the path to Bridalveil Fall, we heard the repeated crash of water. This waterfall is known for the mist that is carried on the breeze resembling a bridal veil. Bridalveil Fall. We had many opportunities to be photographed together. It is common to run into friends unexpectedly in the valley, especially on a day as beautiful as this. 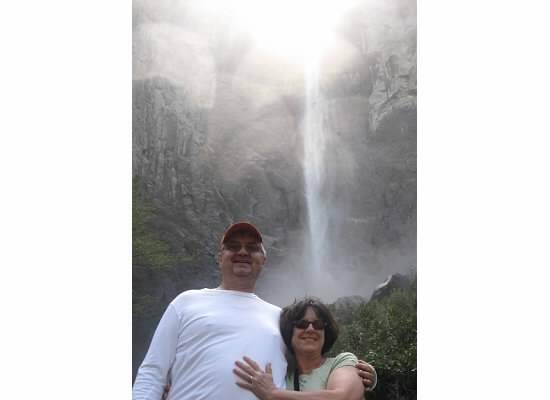 “Hello,” said Mike and Ursula who approached us as we walked back to the car. We stopped and chatted for a moment then continued on our separate ways. 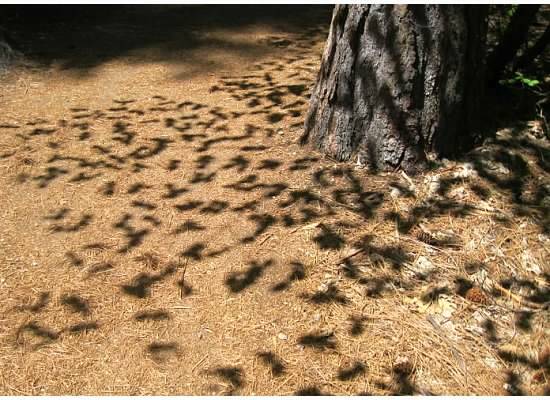 Leaves in shadow on the ground. 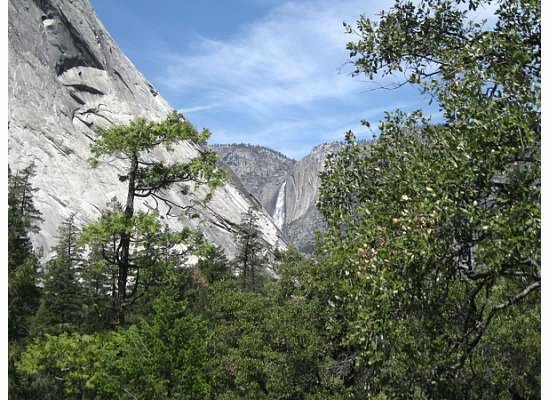 On the way to the historic Yosemite Chapel, we caught a quick glimpse of Sentinel Falls that cascades nearly two thousand feet. 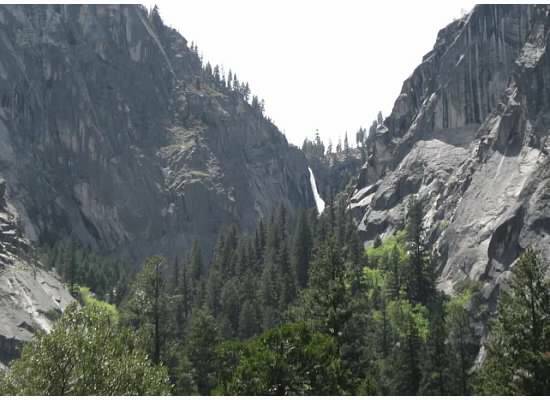 Sentinel Falls is east of Sentinel Rock (pictured) and not visible from this photo taken May 2012. Inside the chapel we kneeled and said a prayer of thanksgiving. 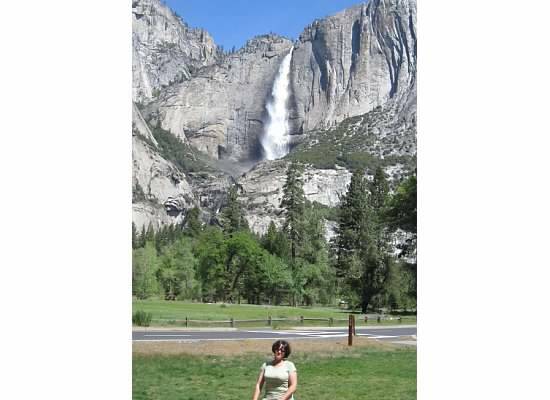 Outside was a stunning view of Yosemite Falls, one of the highest waterfalls in the world. Yosemite Falls from the chapel’s lawn. 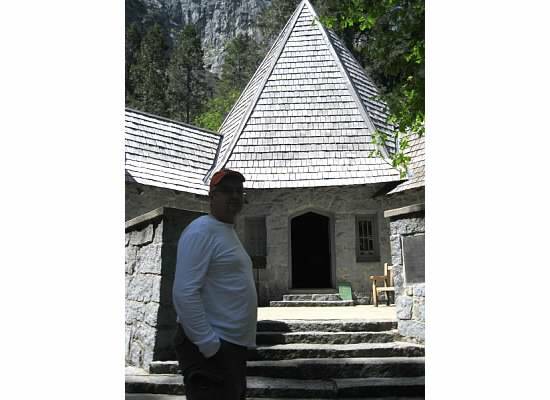 At LeConte Memorial Lodge we spoke with two Sierra Club docents. The original lodge was constructed in 1903 and was moved to its current location in 1919. LeConte Memorial Lodge. Inside are several beautiful quilts made in 2002 for the centennial celebration. Each square was painted by a visitor to the lodge. The walls were rebuilt using rock gathered from the nearby town of Raymond. The roof is original, built over a hundred years ago. 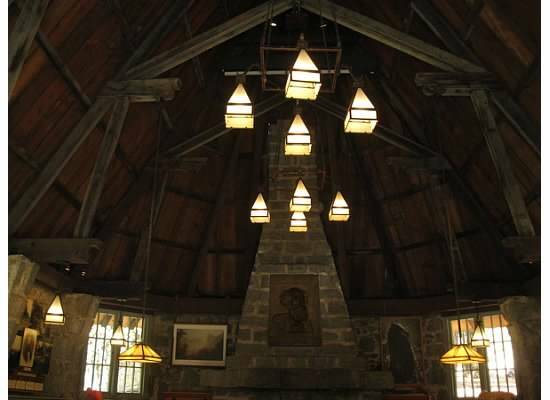 Looking up at the original roof inside the LeConte Memorial Lodge. We strolled through a shady path of the fen and spotted a large trout in the clear water. Watching a trout make its way through the shallow marsh. 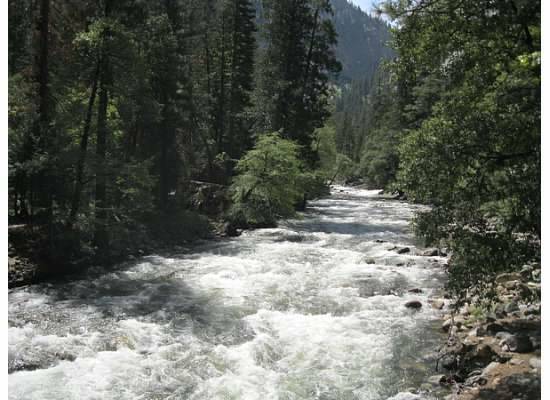 We saw and heard the intense strength of the Merced River while crossing the Happy Isles Bridge. 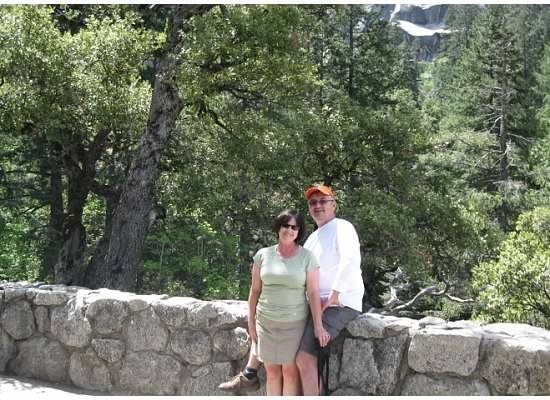 Climbing the paved and crowded trail to the Vernal Fall bridge, we saw Yosemite Falls and Illilouette Fall in all their glory. Yosemite Falls from the trail. Illilouette Fall from the trail. Vernal Fall from the Mist Trail, November 2013. It was past noon and Chris and I were hungry so we quickly descended the steep trail and headed to Curry Village for pizza. 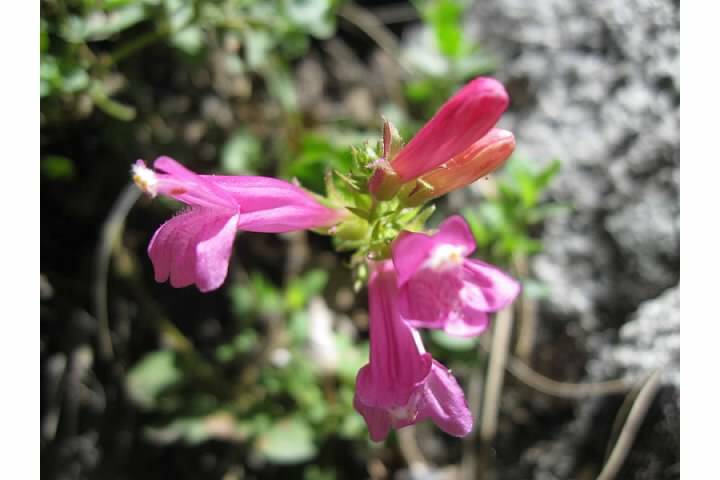 On the way down, I came across Mountain Pride growing in the rocks. 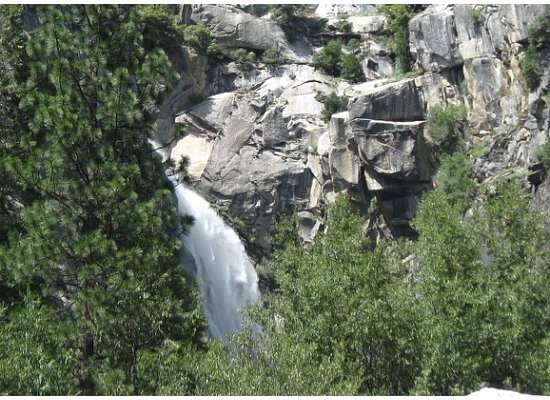 After lunch, the final stop was to the lowest tier of Cascade Falls where it plunged into Cascade Creek on its way to the Merced River. We stepped through the sand and scrambled over several large boulders to reach a secluded spot. 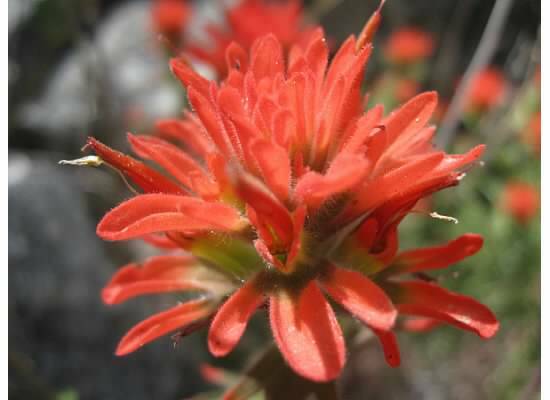 Chris pointed out the bright Indian Paintbrush growing near the boulders. Perched on the smooth granite rocks next to the roaring river, we reveled in its sound, so loud and powerful. 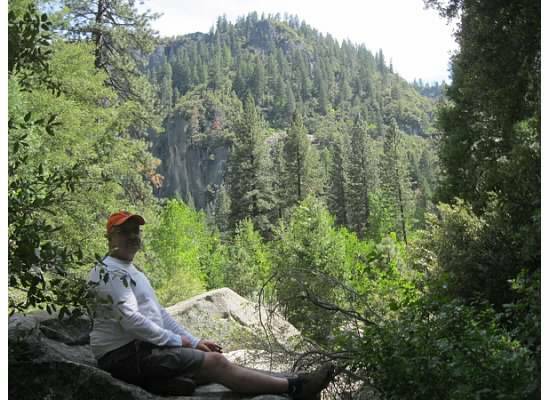 Chris steered clear of the poison oak nearby while I brushed against it to reach my rock. 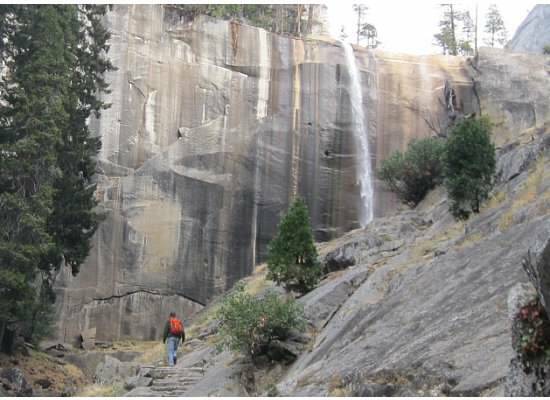 There are many waterfalls throughout Yosemite National Park. During our brief afternoon outing in the valley, we were blessed to have spotted six of them. 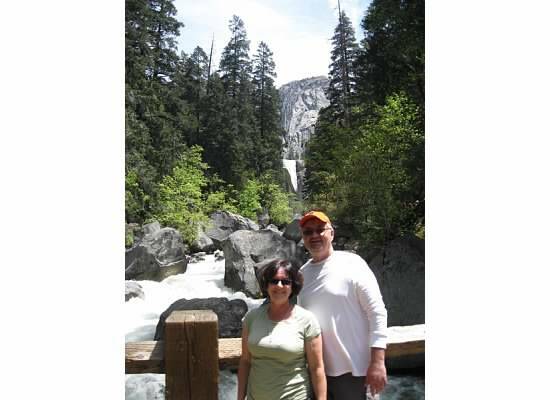 This entry was posted in Yosemite Hikes and tagged Bridalveil Fall, Cascade Falls, Hiking, Illilouette Fall, LeConte Memorial Lodge, Vernal Fall, Waterfalls, Waterfalls in Yosemite, Yosemite, Yosemite Falls, Yosemite National Park on May 4, 2014 by Janet. Ah, but we must (you card). Beautiful pictures! Really enjoyed your comments. I loved the beauty and your descriptions….I think you should write monthly articles (maybe your blog…in the Mariposa Gazette!) 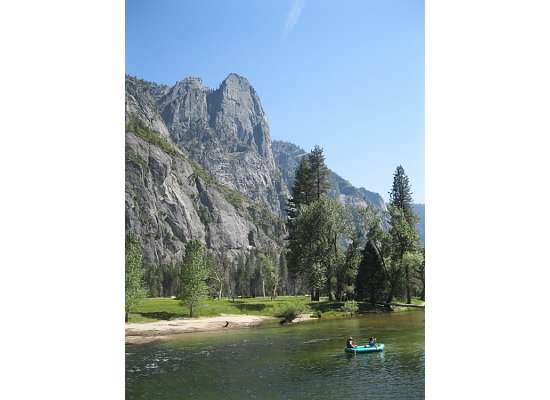 I think our visitors as well as the natives would love your expressions of beauty for “God’s country” as well as the photos! Thanks, Janet….I love these blogs!